Not the Loch Ness Monster. Given all of the fake news that has made international headlines lately, I won’t deny the thought didn’t cross my mind. But this photo is not the infamous Loch Ness Monster. It does resemble the famous picture that purported the Nessie sighting. No. 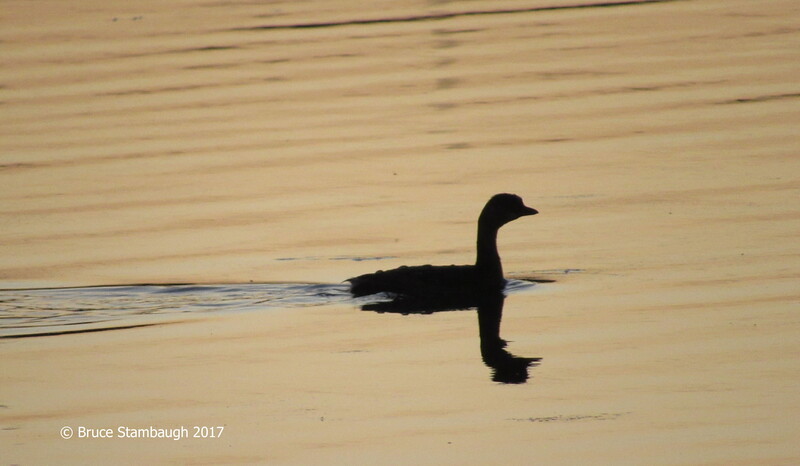 This is the silhouette of a Pied-billed Grebe that I shot (with my camera) last evening at Silver Lake near Dayton, Virginia. I went there to photograph the reflection of the sunset but came away with this gem instead. “Not the Loch Ness Monster” is my Photo of the Week.